The International Federation of Musicians, founded in 1948, is the international organisation for musicians’ unions, guilds and professional associations and is now counting about 70 members in 60 countries throughout the world. 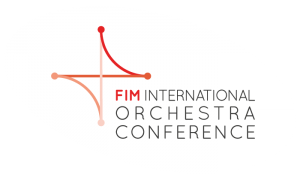 FIM has created three regional groups, for Africa (FAC, the FIM African Committee), for Latin America (GLM, Grupo Latinoamericano de Músicos) and for Europe (the European group of FIM) . – Close collaboration with the World Intellectual Property Organization (WIPO), the International Labour Office (ILO) and UNESCO, and the maintenance of continuous relations with all international organisations which could be of service to FIM. As a non governmental organisation, FIM has a permanent relationship with major inter-governmental organisations such as UNESCO, the ILO, WIPO. It is recognised and consulted by The Council of Europe, the European Commission, the European Parliament. It enables it to participate in crucial negotiations on the protection of performers where it can make the voice of musicians heard.